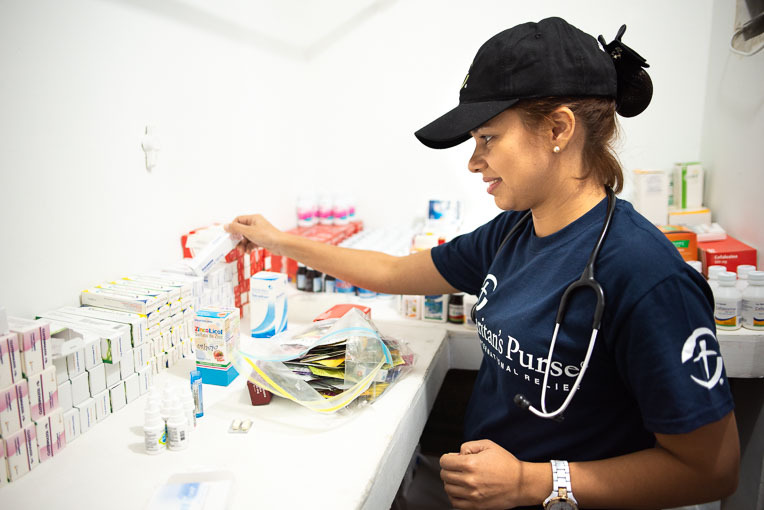 A small facility in Colombia is providing medical care and other services to Venezuelans while keeping the Gospel at the forefront of conversations. Just over the border from Venezuela, in Cucuta, Colombia, hundreds of desperate men, women and children come to the Centre of Hope each week to find physical and spiritual relief. Some of these Venezuelan migrants have moved to Cucuta, some are passing through, and some will travel back to their home country in the evening. They all share this in common: a failing economy has put their once-wealthy nation in a painful place. People are struggling to feed themselves, and the healthcare system is no longer able to meet even basic needs. They feel they have nothing left in Venezuela and must seek out relief somewhere else. 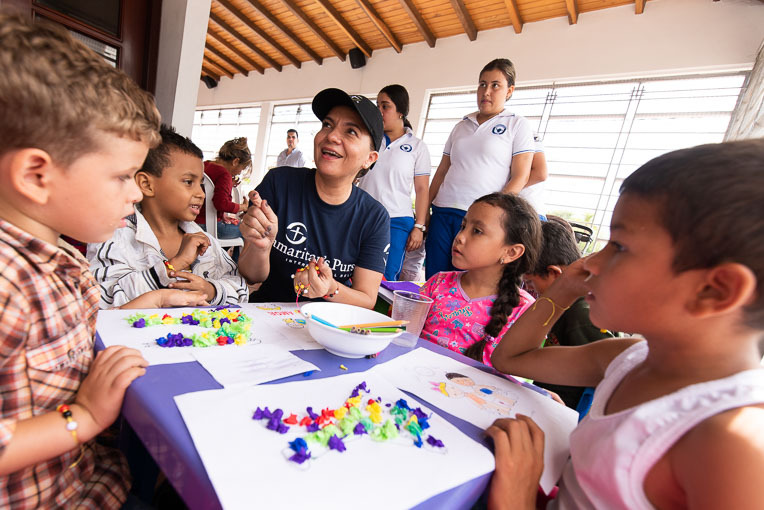 At the Centre of Hope, a partnership between Samaritan’s Purse and a local Colombian church, they find a variety of services.  Samaritan’s Purse is partnering with a local church in Cucuta to minister to Venezuelan migrants of all ages. “People come and get spiritual help, regardless of background. They hear about God. They get psychological help, medical help, legal help,” said Jairo Antonio Garzon Lopez, the centre’s coordinator. Between June and December 2018, nearly 13,000 people (the vast majority of them Venezuelan migrants) were guests at the centre, with the numbers climbing as the new year began. A concern for people’s souls is integrated into all the centre’s services, and the Gospel of Jesus Christ is being clearly presented. Close to 3,000 people have surrendered their lives to the Lord, and an additional 1,300 people rededicated their lives to Him. Nurse/chaplain Liyineth Espejo works with Orangeles and her son at the Centre of Hope in Cucuta, Colombia. In addition to help for her son, Orangeles found personal spiritual renewal at the centre. As staff talked with her about the Gospel, she rededicated her life to Jesus Christ. After years of prodigal living, she now wants to begin walking in faith. 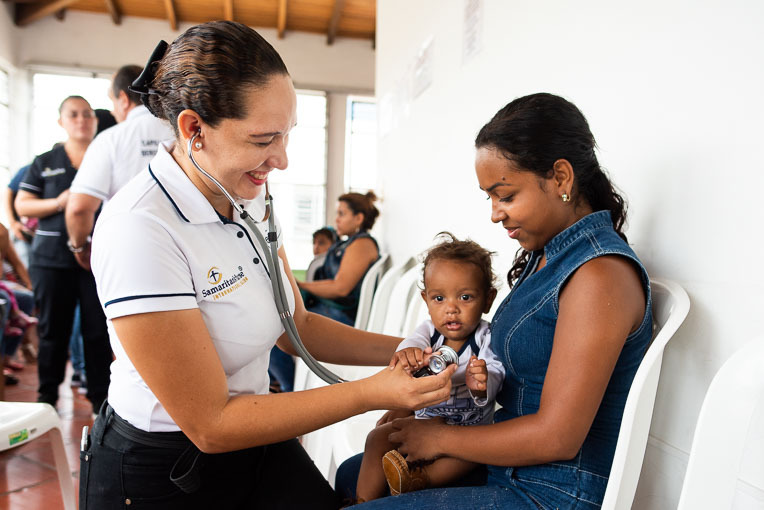 Genesis, a teen mother from the Venezuelan border town of Urena, brought her 4-month-old son to the centre, seeking both legal and medical services for the family. She didn’t have a single nappy left for her child the day they came in, and he also had a cough and fever. Nappies and even basic medicines to reduce fever are too costly for most people in Venezuela these days. Dr. Maria De Los Angeles Sarmiento is able to share the Word and practice medicine in her work with Venezuelan migrants. Even in Urena, though, the hospitals are in crisis. When Genesis went into labour in the middle of the night last year, a neighbour drove her from hospital to hospital. They told her there were no doctors to help. Eventually, as her labour quickened, Genesis ended up at a fire station. They took her by truck over the border into Cucuta to give birth! Maria De Los Angeles Sarmiento, a Colombian doctor, works at the Centre of Hope and is astounded by Venezuela’s collapse. She’s deeply concerned that there seems to be no sense of emergency, despite a rise in hunger and epidemic disease. Genesis stands with her child outside the Centre of Hope. Please pray for the centre’s staff as the needs—both physical and spiritual—expressed by guests can seem overwhelming at times. Also keep the people of Venezuela, both those who’ve stayed and those who’ve left, in your prayers. An estimated 3 million Venezuelans have left the country since 2014. Jairo Antonio Garson Lopez, centre coordinator, prays with Orangeles and her son.